THE ADVOCATE has been honored by LOGO’s third annual TRAILBLAZER HONORS television special, which was simulcast on June 25 on VH1 and LOGO. Iconic star of stage and screen HARVEY FIERSTEIN was the other honoree. The show was executive produced by CHRIS MCCARTHY, AMY DOYLE, RYAN KROFT, and CHRIS WILLIAMS for LOGO. MATT FLANDERS was co-executive producer. JOE BOUYE and LEAH LANE serve as executives in charge of production for LOGO. WENDY PLAUT, GINA ESPOSITO and MARCIA LANSDOWN are executives in charge of talent and music for LOGO. AMBUSH MAGAZINE, based in New Orleans and led by publisher/editor RIP NAQUIN, helped unite 18 LGBT bars and clubs in the city to stand together in support of the Pulse Nightclub in Orlando, Fla. On Saturday, June 18, for New Orleans Pride, participating clubs hung a banner outside of their businesses proclaiming, “We Are Pulse,” to salute the victims of the recent shooting. DIANE ANDERSON-MINSHALL, editor at large of THE ADVOCATE and editor in chief of HIV PLUS MAGAZINE, was honored by the NATIONAL LESBIAN AND GAY JOURNALISTS ASSOCIATION (NLGJA) in Los Angeles on June 23, 2016. The organization presented her with the 2016 LISA BEN Award for Achievement in Features Coverage. The award bears the pen name of EDITH EYDE, the creator and distributor of the first known U.S. lesbian publication and inaugural winner of the award in 2014. NLGJA established the award to honor a journalists whose body of work is distinguished by insight and impact through engaging features on LGBT individuals, the LGBT community or LGBT issues. CYD ZIEGLER, co-founder of OUTSPORTS.COM, was presented with the award in 2015. GAY CITY NEWS, based in New York City, came out of this year’s NEW YORK PRESS ASSOCIATION’s Better Newspaper Contest with recognition in 13 categories. The newspaper won First Place for Editorial Writing, and Second Place for Coverage of Elections and Politics, for Best Editorial Pages, and for Coverage of Religion. KELLY COGSWELL earned a Third Place Award for Best Column. Photographers DONNA ACETO and MICHAEL LUONGO won a Third Place Award for Photographic Excellence. A Third Place Award went to ANDY HUMM, DUNCAN OSBORNE and PAUL SCHINDLER for Coverage of Crime and Police. MICHAEL SHIREY won a Third Place Award for Best Multi-Advertiser Pages. Honorary Mentions were given to Gay City News for Best News Web Site, Special Holiday Edition, Best Front Page, Overall Design Excellence, and Writer of the Year. PHILADELPHIA GAY NEWS (PGN) published its 100-page 40th anniversary issue on April 8, 2016. UNITY: JOURNALISTS FOR DIVERSITY held its third annual Diversity Caucus on June 17, 2016, in Washington, D.C., in order to bring together industry partners who believe in making American newsrooms more diverse. UNITY is an umbrella organization for the NATIONAL LESBIAN AND GAY JOURNALISTS ASSOCIATION (NLGJA), the ASIAN AMERICAN JOURNALISTS ASSOCIATION, and the NATIVE AMERICAN JOURNALISTS ASSOCIATION. WINDY CITY TIMES, based in Chicago, has published THE OUT! GUIDE: CHICAGO’S LGBTQ VISITOR’S GUIDE. The 124-page guide include a quick reference to travel and accommodations and a guide to the city's many neighborhoods. The guide will be distributed throughout Illinois and in neighboring states, and is available as a free download on the Windy City Times website. View the low-res version at the link: http://www.windycitymediagroup.com/pdf/outchicagolgbtqvisitorguide_low.pdf . View the high-res version at the link: http://www.windycitymediagroup.com/pdf/outchicagolgbtqvisitorguide_hi.pdf . U.S. visitors can also request a free copy to be mailed to them, on a limited basis, by emailing editor@windycitymediagroup.com with the full name and mailing address for the copy to be mailed. The shooting at Orlando’s Pulse, an LGBT nightclub, was the largest mass murder in modern U.S. history. A lone gunman, for whatever reason, went on a rampage, killing 49 people and leaving 53 wounded, mostly Latinos. Press Pass Q spoke with and emailed several LGBT journalists on the ground in Orlando and across the state of Florida to get their reaction to the mass shooting. Steve Rothaus, a gay beat reporter for the Miami Herald, offered his perspective over the telephone. “I happened to be awake at 5 a.m., got up, and checked my computer,” he said. “I saw that people on Facebook were exchanging messages about this shooting. I looked, and it was an Orlando gay bar. I knew nothing about casualties, but I knew it wasn’t going to be good. Once I was online, I started to hear from people who had contacts in law enforcement, and they began to tell me this was really going to be bad. The police in Orlando knew it was going to be really bad. “We were hearing casualties like 20 to 25 people. No one dreamed it would be as many casualties as it was. I just went into action. I put a message on my Facebook wall. Once I got the name of the place, I asked anyone [who] had been to Pulse to contact me directly. I began to hear from people and friends who had worked there. Press Pass Q also spoke with a local resident, Paul Peterzell, who has lived in Orlando since 1977. Michael K. Lavers and Kevin Naff of the Washington Blade were both on the ground in Orlando. Blade Editor Naff noted that it was important for his newspaper to have reporters in Orlando. "As mainstream media so often ignore or underreport the LGBT angles to our stories, I thought it was important for us to be here on the ground, talking to our own community and telling our own stories. The LGBT community in Orlando has displayed an uncommon dignity and strength this week, suppressing their tears while working hard to raise money for victims, collect donations and deliver supplies to overburdened crisis centers and blood donation facilities, to fly grief-stricken family members to town for funerals and more. It's humbling to be here and the attack on one of our physical spaces, the Pulse, reminds us of the importance of helping our own, and writing about our own." Jason Parsley, associate publisher at Ft. Lauderdale-based South Florida Gay News, offered his perspective. The Gay & Lesbian Alliance Against Defamation (GLAAD), the National Lesbian & Gay Journalists Association (NLGJA), and the National Gay Media Association (NGMA) all issued statements. GLAAD president and chief executive officer Sarah Kate Ellis said, in a statement, "This atrocity was an attack on the LGBT community, it was an attack on our country, and it was an attack on the core American values of equality and freedom for everyone. Whether the gunman's homophobia spurred from hatred of others or hatred of himself, this is homophobia all the same. And it's sadly just the latest example of homophobia turning to horrific violence, just as it has for decades." “Don’t assume someone’s sexual orientation. If it’s germane to the story (likely, in covering the Orlando shooting), ask how the person identifies. “Don’t assume someone’s gender identity. If it’s germane to the story (possibly, in covering the Orlando shooting), ask how the person identifies. “Don’t use ‘gay’ to include lesbian, bisexual or transgender. It’s OK to use ‘gay’ in headlines for space, but make sure to explain it further in the story. “Individuals in the LGBTQ community have been targeted for violence frequently over the years, but nothing on this scale,” said Tracy Baim, spokesperson for NGMA and publisher of Chicago’s Windy City Times. “We want to encourage the community to show their support by donating to the victims at https://www.gofundme.com/2942a444. We also send our support to our member paper Watermark during this difficult time for their community." NGMA, a membership organization of 12 of the country’s top regional LGBT media, works to help member newspapers. Orlando’s Watermark newspaper joined NGMA in 2015 (http://www.nationalgaymediaassociation.com). Multimedia Platforms Worldwide (MMPW), the only publicly-traded LGBT media company, has launched WiRLD Digital City Guide, a business directory with more than 22,000 LGBT-friendly businesses throughout North America. The new guide also allows LGBT-friendly businesses to self-register online for free, with the option of enhancing their listing with a premier page at WiRLD.com/CityGuide. Visitors and WiRLD members can now go to the site and view business listings that are responsive to their location. WiRLD Digital City Guide is an LGBT navigator for restaurants, specialty shops, bars, clubs and professional services like lawyers, CPAs, realtors, dentists and doctors. Most of all, it hosts an extensive travel directory of hotels, bed & breakfast spots and resorts. “A media hub with the scale of WiRLD provides unprecedented and unique opportunities for our members and advertisers. [The] launch of WiRLD Digital City Guide is another major milestone that we have promised to the investment community to create the best LGBTQ online destination with our audience,” said Blair. “WiRLD Digital City Guide now allows all our business advertising partners to have a direct relationship with our visitors and members, with the common theme of having a unified community of inclusion, whether in the workplace or aligning with consumers." MMPW's top brands include Frontiers magazine, Florida Agenda, FunMaps, Guy magazine and Next magazine. The launch of WiRLD Digital City Guide is, in effect, an evolution and rebranding of Fun Maps, a 33-year-old LGBT travel and leisure publishing company. NBC News has launched its newest vertical web portal this month, providing original content on LGBT life and culture. As NBC News senior vice president of diversity and talent, Yvette Miley, said in a press release, "NBC OUT is the first LGBTQ news vertical created by a major broadcast media organization. All summer long, NBC OUT will showcase enterprise reporting, original video, and a range of unique content geared towards the political, cultural, and social interests of the LGTBQ community." 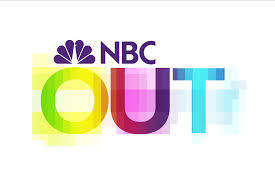 NBC OUT is available at www.nbcout.com. The National Lesbian & Gay Journalist Association (NLGJA) praised NBC. "NBC News has been a strong ally and partner of NLGJA for many years," said Adam Pawlus, the non-profit’s executive director. "NBC OUT is a fantastic opportunity to showcase enterprise reporting, original video and other unique content about and of interest to the LGBTQ community." NLGJA member Brooke Sopelsa has been named managing editor of NBC OUT. In a letter from the editor posted to the site recently, she wrote: "[O]ur acronym may only include a handful of letters, but the variety within each of them is vast. Keeping this in mind, the NBC OUT team is committed to highlighting content that spans the spectrum — from a profile piece about an intersex millennial to an article about cisgender, black gay men in history, and a multimedia report about a Thai immigrant who started a transgender modelling agency." Ryan Williams, NBC News director of multicultural initiatives, will oversee strategy and development of NBC OUT, along with NBC News' other verticals, NBC BLK, NBC Latino, and NBC Asian America. PPQ: What feature or features of Seattle Gay News have been the most popular with readers? Associate Editor Shaun Knittel: By far, the most popular were during the “everything but marriage” ballot initiative R-71, which gave, by popular vote, everything but marriage — that is, domestic partnerships (http://www.sgn.org/sgnnews37_45/page1.cfm). Then, two years later when we were fighting for marriage equality, when we once again needed the public to vote to approve a ballot referendum, R-74. We became one of four states to make history when we did, indeed, win marriage by popular vote. Knittel: Seattle Gay News, like many community publications, has had its fair share of challenges. SGN has endured economic downturns like the Great Recession in 2008, the financial impact 9/11 had on businesses, losing key staff to HIV/AIDS, experiencing threats made to the office by email or phone that would suggest that the safety of the staff was threatened by an active shooter, defending the ads of clients that included near-naked or all-the-way naked men, and much more. But we have always overcome challenges and moved forward with confidence in our readership and ability to produce a good looking newspaper full of content and ads for the businesses that support us. PPQ: What challenge or challenges is Seattle Gay News facing now? Knittel: Currently, SGN is doing better than ever. We have a full-time staff, volunteers, and Pride is always a good time of year for us. We’ve been a part of the Seattle LGBTQ community for more than three decades, so our readership is really very loyal, and it never ceases to amaze us how many young LGBTQ high school students want to intern at the newspaper as they look towards their own future as a newspaper editor, writer, or photographer. And it’s a great time in gay media. We are literally honored to write some of the most important content in our movement’s history as it unfolds right in front of us on a near daily basis. PPQ: How has Seattle Gay News changed since it was first launched? Knittel: Seattle Gay News began way back when you needed a typesetter and big printing press, so it has changed a lot. The physical layout of the newspaper hasn’t changed much because of its history; people have come to know and love the reliable news-centric layout, color print, and logo — which hasn’t changed since the 1990s. SGN is easily recognizable. Knittel: One change I would like to make at SGN is to have a special section every three months where we profile youth in our community, youth organizations or assign editorials to LGBTQ teen writers and see what they come up with. It wouldn’t be hard to do, and I think our readers, as well as the youth, would enjoy it. PPQ: What has been the biggest news story or stories Seattle Gay News has covered? Knittel: On New Year’s Eve 2013, a local gay bar was attacked by an arsonist and nearly killed 750 people. Luckily no one was hurt or even injured. Other stories included marriage equality, of course, Seattle electing its first openly gay mayor, Ed Murray, and breaking the story of the first HIV/AIDS cases in Seattle to the community. Knittel: Totally gay. We are proud of that. There is no assimilation at this publication. Knittel: I am an activist journalist, yes. Often times in gay media, you are thrust into situations where you bend the ear of important people or can use your press credentials to get near decision makers. And when that happens you can either benefit for yourself, or you can try your best to change hearts and minds and make a difference. I don’t know of even one gay journalist who doesn’t work to better our community while reporting about it. Knittel: Well, as you can imagine, we’ve had our fair share of fan mail and hate mail. But the thank-you messages seem to stand out the most — when somebody writes to you directly and says that something they read in the pages of your newspaper that you wrote saved their life by inspiring them, or they read something and it gave them hope. That is the best, for sure! Knittel: The advice that I would give is to take your publication seriously. Entertainment is entertaining, but the news and the real meat and potatoes are in the serious topics, and whether or not you have it in you to assign people stories and hold them to their deadline, recognize what is news and what is not, and so on. Oh, and don’t rent an expensive office; there’s no need for that.